It’s been an amazing 12 months. Your tiny newborn has transformed from a helpless being, into a moving, laughing, and at times, stubborn toddler. These next couple of years are incredible – you’ll watch your child blossom into a real little person, with traits that will make you laugh (and cringe, when you realise they’re just like you!). These are the toddler years, and they are amazing, and exhausting. Arm yourself with our survival guide, and strap yourself in – we’re heading into toddlerhood. When I think back to my children’s toddler years, it can be summed up in one Dickens’ quote: “It was the best of times, it was the worst of times.” Every day with a toddler is a rollercoaster ride, without brakes. There are lofty highs, and there are times when you’re heading downhill fast – white knuckle stuff. Here are some pearls of wisdom to help you get through the terrific and tumultuous toddler years. If you think a crawling baby can get into mischief, just wait until they’re trotting around on two legs. Whatever you think is out of reach, is just a tip-toe away. Pretty sure your toddler won’t get into your makeup? Best be getting some sort of padlock situation happening on your foundation and red lipstick stash. These clever creatures can masterfully undo hours of housework in mere moments. Such a lot of mess for such little people. You’ve got the Thermomix working overtime to create culinary wonders that rival a Masterchef Invention Test, but don’t expect it to go down well. 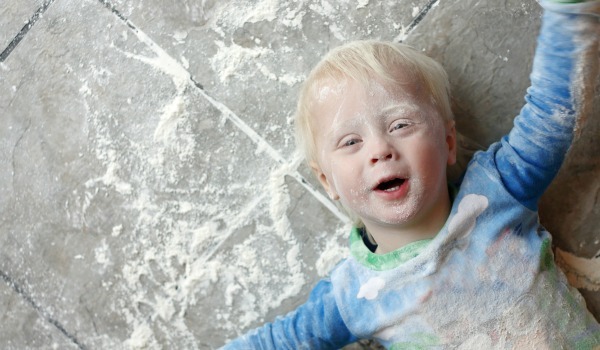 Toddlers can be fussy and what they liked yesterday, they’ll be throwing on the floor today. They may refuse to eat anything but white food for an entire week. Unless it’s dog food. That always goes down a treat. Because you are their whole world, toddlers will believe anything you tell them. This can be used to your advantage – but wield your power with care. If they’re adamant that they must have an ice-cream, but you’re pretty sure they’ve eaten nothing but one sultana all day, tell them the ice-cream factory isn’t open today. As gullible as they are, though, they’re pretty cluey. They’ll cotton on pretty quick if you’re too loose with the truth. 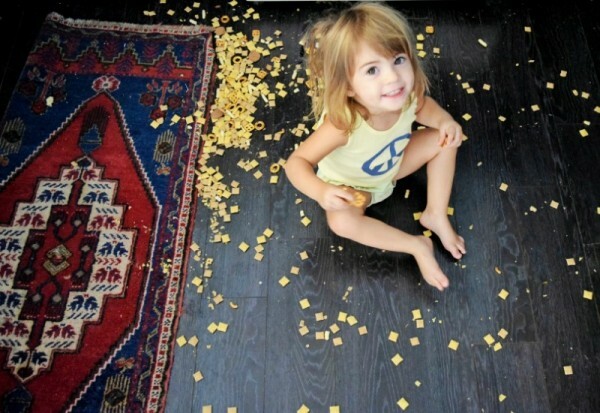 If toddlers like something, they’ll want to do it over and over again. You’ll find this at the park, at the dinner table, or when reading books (I can still recite Where the Wild Things Are and Where is the Green Sheep? verbatim). It’s all part of the learning process, so as annoying as it can be, try and humour them if possible. You can always hide the book when you can’t bear it anymore. We’ve all heard of the terrible twos, and they fall smack-bang in the middle of the toddler years. It’s a time of defiance and can turn into a battle of the wills. ‘Tis a well-worn path – take heart knowing that as your toddler chucks a wobbly in the middle of the supermarket, there are many sympathetic parents looking on. It’s important to continue enforcing the rules that you’ve always had in place, to maintain consistency and to give the illusion that you’re in control. It’s normal to compare your toddler’s development to your friend’s or sister’s children, but remember, they all hit milestones at different times. 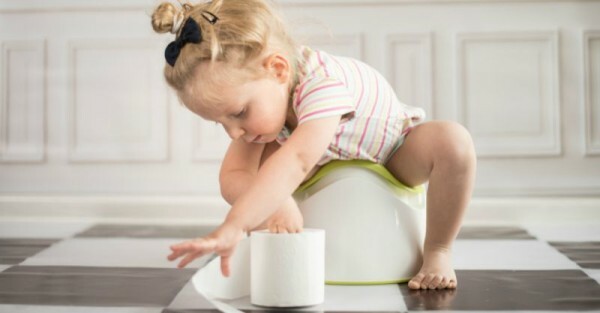 In particular, things like toilet training can’t be rushed. Wait until your toddler shows interest, and then nurture it. And remember that we all try and fail in our lives – and these little folk will stumble plenty of times before they triumph. It’s our job to catch them when they fall. Often literally. In having children, we sign a waiver promising to take whatever patience we have and multiply it several hundred times. And yet, even that won’t be enough to get you through the toddler years. Because toddlers are all about exerting independence, you’ll find the phrase ‘me do it!’ will be thrown around dozens of times a day. For the love of peace, just let them give it a go. 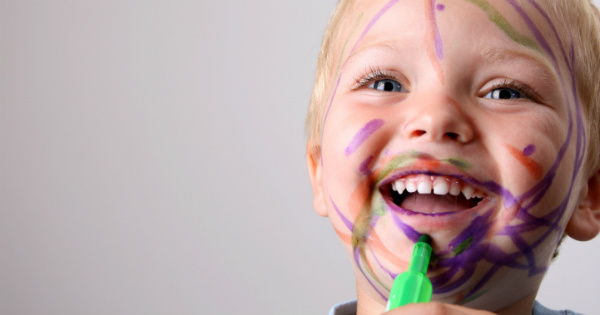 If there’s one thing you need to learn about toddlers, it’s when to pick your battles. Being naked is particularly hilarious when you’re a toddler. Nudie runs will become the norm prior to baths (and whenever else they can get their gear off). There’s a little hippie in every toddler. Toddlers love to make stuff. They also love to make mess. So they go bananas for the one thing that combines the two – craft. Understand that from this moment on, you will never be truly rid of glitter in your carpet and dried Play-Doh on your dining table. Speaking of which, Play-Doh makes up a large portion of your toddler’s daily food intake. Toddlers are accident magnets. By their very nature, they’re pretty unsteady on their feet, so expect a few bumps, bruises and skinned knees as they learn to control their extremities. They are living in a kind of suspended animation between knowing something will hurt them, but being unable to resist temptation. Toddlers are the smoochiest, cuddliest little guys around. Make sure you soak this up – you are their favourite person in the whole world, and they aren’t afraid to show it. You are the centre of their universe, you are all-knowing, all-seeing and most of all, your hugs make everything better. You simply cannot give toddlers too much love. And that’s a bonus – because they’re extraordinarily loveable.